Vin Diesel has finalized a deal with Sony Pictures to star in their adaptation of the Valiant Comics movie Bloodshot. The studio has set Dave Wilson, co-founder of Blur Studios alongside Deadpool director Tim Miller, to take the helm, making his feature directorial debut, working from a screenplay by Oscar-nominated writer Eric Heisserer (Arrival). This new report claims this project will have a tone similar to 1980s tentpoles like RoboCop, The Terminator and Total Recall, with the studio hoping to spawn a franchise. We reported in January that Sony was eyeing Vin Diesel for Bloodshot, but now the deal has been finalized. 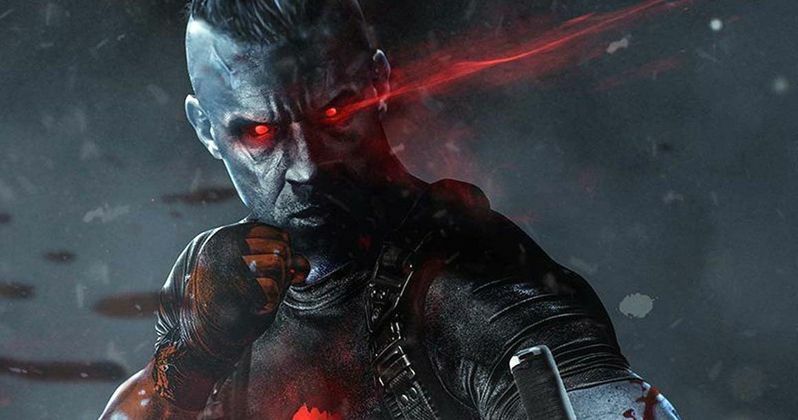 Bloodshot is a pivotal character within the Valiant Expanded Universe, which centers more on ordinary people in extraordinary situations, rather than heroes with super-human powers. Bloodshot was created in 1992 by Kevin VanHook, Don Perlin and Bob Layton, which was an immediate hit with readers upon publication. The comics center on Ray Garrison, a.k.a. Bloodshot, a former soldier who was brought back from the dead by Rising Spirit Technologies, through the use of nanotechnology. While he had none of his previous memories when he was first brought back to life, Bloodshot tries to remember his past, which includes a former life as a mafia hitman named Angelo Mortalli, and before that, his life as Raymond Garrison. He is part of a team known as The Chainsaw, a group of similarly augmented warriors. Bloodshot's powers include superhuman strength, speed, agility, stamina, reflexes and endurance, along with enhanced healing factor and a mastery of hand-to-hand combat. He also has the ability to shapeshift, perform cyberkinesis and he can also shoot nuclear energy blasts as well. This project will reunite Vin Diesel with his longtime Fast & Furious franchise producer Neal Moritz, who is producing Bloodshot alongside Toby Jaffe and Dinesh Shamdasani. Matthew Vaughn and Dan Mintz are slated to executive producer, with Andrea Gianelli overseeing the project. Sony is moving forward quite aggressively on this project, with principal photography slated to begin in July, although the studio has not set a release date at this time. It's possible that this project came together since Vin Diesel had an opening in his schedule, after Universal pushed Fast & Furious 9 by a full year, to make room for a currently-untitled Fast & Furious spin-off, starring Dwayne Johnson and Jason Statham, which is slated to start filming this year. Dave Wilson's work up to this point has largely been in the video game realm, but he did serve as a creative supervisor for Blur Studios for the 2015 Marvel Cinematic Universe movie Avengers: Age of Ultron. He has also served as the Cinematic/Trailer Director for hit video games such as The Division, Elder Scrolls Online, Bio-Shock Infinite, Star Wars: The Old Republic and many more. Eric Heisserer is coming off writing hit movies Arrival and Lights Out in 2016, and he has been attached to write Van Helsing. His movie Bird Box starring Sandra Bullock is currently filming and he also has Extinction, starring Lizzy Caplan and Michael Pena, in post-production. Deadline broke the news of Vin Diesel's deal being finalized for Bloodshot earlier today.